For many first-time founders, pulling an idea off the ground might look easy, yet a lot of them fail in their first few attempts. , more than 50% of startups fail in their first four years. 42% of them do because of a lack of market need, 29% run out of cash and 14% ignored their customers. It is clear that this stage was a legitimate challenge within the startup community — and it needs to be addressed. Conversations were had and attentions were focused on fleshing out the very best way to assist these fledgeling startups to market. These discussions led to several of the “new” fundamental concepts within the startup world that we all know and love. From pivoting from your Minimum Viable Product (MVP) to the lean startup methodology methodology and everything in between — all have emerged from the collaborative and accelerated efforts to de-risk the process launching a startup. Despite this effort, many founders still struggle to completely understand the complexities behind each of these concepts and grasp the intricacies behind their implementation. 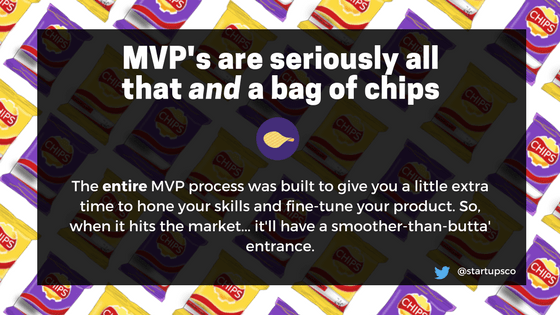 The MVP is one one the most important and decisive stages in the product lifecycle. It helps your product enter the market smoothly — with minimal “surprises” — and without spending every red cent to your name. But, What exactly is an MVP? 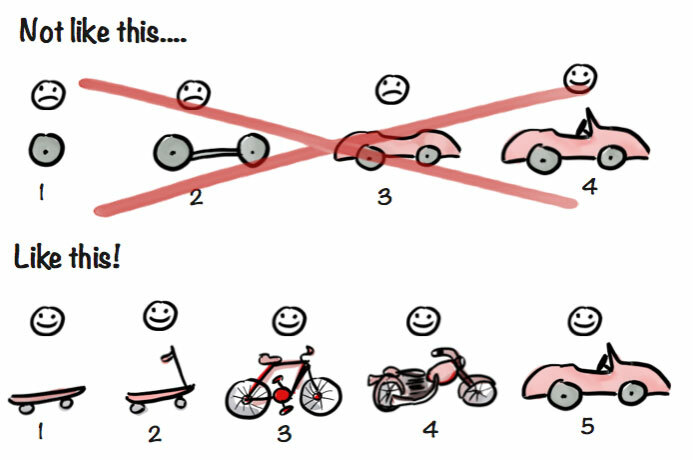 We can start talking about an MVP at the conceptualization stage. The initial mockup you create to gather any first impressions is considered a Low Fidelity MVP. It’s the very early version of your MVP which could range anywhere from a quick sketch on a crumpled napkin or a sophisticated survey sent to your (assumed) target audience. Either way — the end goal is to get a better idea of your users’ persona, needs, and preferences. Your low fidelity MVP is the first step in figuring out whether you are actually solving a real problem. The most recent version of your MVP is what would be deemed a High Fidelity MVP. This, on the other hand, is farther along. It’s running and specifically conveys your current value proposition. A high fidelity MVP consists strictly of the features that are linked to your core hypothesis. Anything that doesn’t help you assess your main assumptions could — and should — be added at a later stage. If you’re like me — you’re probably asking yourself: “How can this MVP help me succeed?”. The purpose behind building out an MVP is to gain the maximum insights from the market, with as minimal resources possible. While everyone loves to save some dough — your MVP will benefit you in other ways than the thickness of your wallet. One of the core principles of the startup business model is the user-centered lens. If you don’t understand your user — you’re gonna have a bad time. Product Development should go hand-in-hand with Customer Development. They’re equally crucial to your success and ignoring one in favor of the other is a sure sign of failure. Lucky you! Your MVP was literally made for this exact purpose. When testing your product — not only will you learn what your product is missing — you’re keenly positioned to gain a deeper understanding of what your users want and whether your product aligns well with the market demand… before it’s too late. Use your MVP to collect user feedback and ultimately either validate your core value proposition, adjust your revenue model, or segment your audience. All of which is crucial before you invest all of your resources in your product. Lean Startup Methodology established that products are essentially a bunch of untested hypotheses that have yet to be confirmed by the market. As a founder, you probably have a long list of ideas and theories on what exactly you want your product to be. However — once you reach the MVP stage — you’re bound to narrow your focus to one or two core ideas for what your product will become. When Nodar Janashia, Founder and CEO of CountUp.io, saw a gap in the market between startup founders and accounting specialists — he worked alongside the CTO-as-a-service startup, Hidden Founders, to build a platform to connect the two. In order to build an optimal MVP — the platform was reduced to two basic elements: a way to match a founder to the right accountant and an instant messaging feature to support their communication. These two elements enabled CountUp.io to be minimally viable and operational so the two hypotheses could be tested. It is important to cut out anything superfluous to ensure you collect data that can prove or disprove your hypothesis. Your MVP should prevent you from sinking before you even dip a toe into the water. The fewer features your MVP has, the less money you’ll undoubtedly spend and the less time you’ll end up wasting. If you feel that youneed to add any additional features — take a breath and back that feeling up with some cold, hard data. Time you spend adding extra features will push your launch date back — and often become a distraction from the more important pieces of your product. Business plans rarely survive first contact with customers. Rather than engaging in months of planning and research — the most successful founders accept that what they have on ‘Day One’ is simply a series of untested hypotheses. There’s no actual book that will take you step-by-step through building your MVP. Therefore, you’ll never have a clear chart of “include/not include” elements. Sorry, Charlie! You’ll have to figure that out on your own. You can start doing that by organizing your features in two categories: “Must Have” and “Nice To Have“. Selecting your products features is tricky. Using the earlier example with CountUp.io — after adding both the matching system and the instant messaging feature, it was discovered that there was a need for conflict management as the two parties involved in the transaction could become involved in a disagreement. As a third and final linking part, the CountUp.io team created a conflict management process to aid in resolving conflict between users. Rather than automating this process, the team determined that it would be best for the user experience to manually resolve any issues. This new process is triggered by the newly created “signal a problem” button that empowered users to inform the CountUp.io team of any issues. Doing this process manually saved Nodar a lot of time and money that could have been wasted developing an automated complaint management system. Automation should only be used when you’re dealing with tons of data — and the number of complaints received at that stage by CountUp.io was totally manageable, manually. When you get to this stage — congrats! You’ve built what is considered a Concierge MVP. This is basically an MVP that “feels” like the real product to your user — and yet, several of the functions might be completed manually. So, what are you waiting for? Roll up your sleeves and get started on your Minimum Viable Product. Nada Allouch is a Growth Strategist at Hidden Founders. She helps startups grow and get early traction.